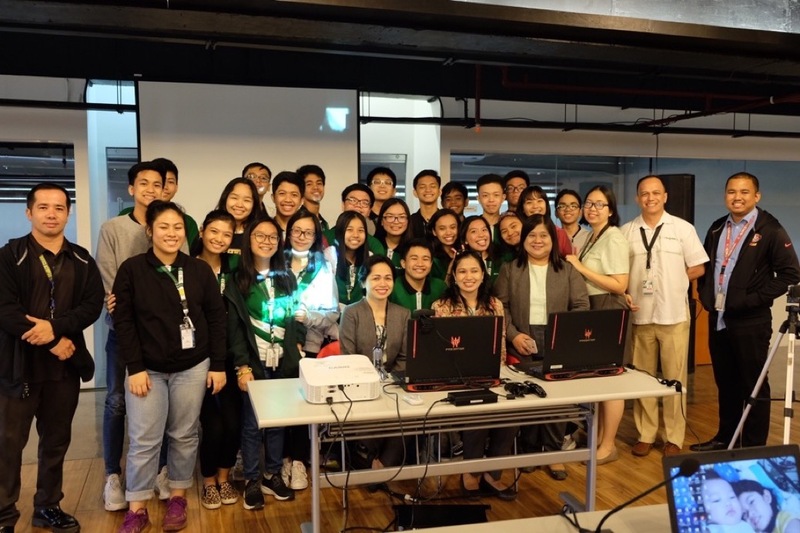 The student finalists from De La Salle Lipa with Principal Haidee M. Angeles; Junior High School Science Learning Area Chair Estelita S. Villegas; Science Faculty Lorna Guavez, Severina Tipa, Jonalyn Aguda; JHS Computer Learning Area Chair Rafael Kalaw; Judges Director for Integrated Digital and Innovative Instruction Dr. Glenford Prospero and Associate Principal Kristine Anne C. Dimaculangan. 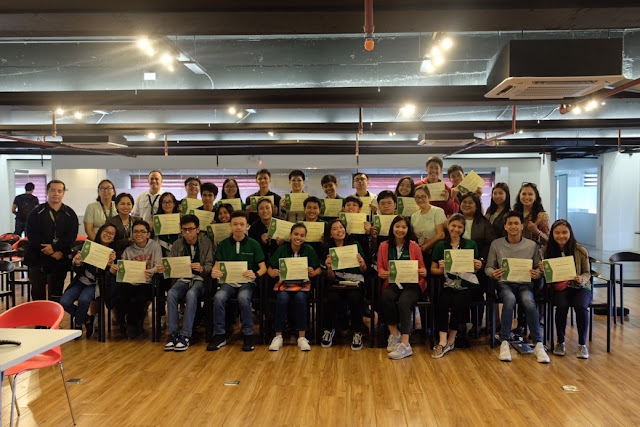 The student finalists from De La Salle Lipa proudly show their certificates of participation with Principal Haidee M. Angeles; Junior High School Science Learning Area Chair Estelita S. Villegas; Science Faculty Lorna Guavez, Severina Tipa, Jonalyn Aguda; JHS Computer Learning Area Chair Rafael Kalaw; Judges Director for Integrated Digital and Innovative Instruction Dr. Glenford Prospero and Associate Principal Kristine Anne C. Dimaculangan. 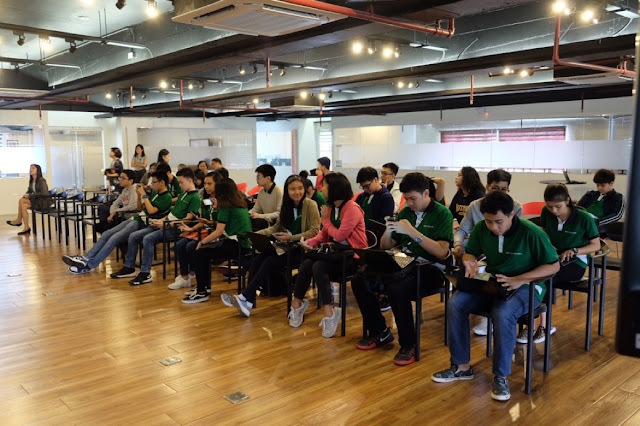 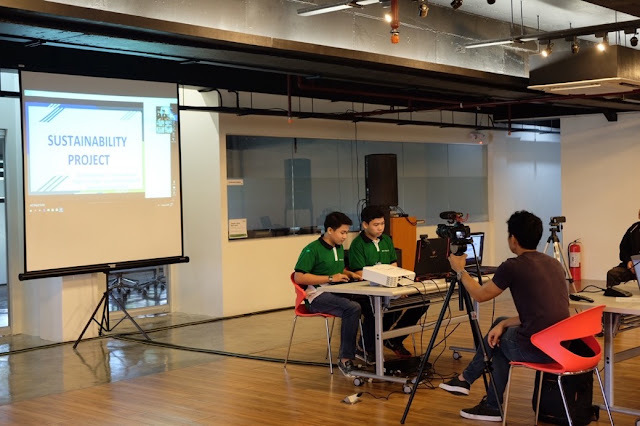 Jose Miguel S. Villegas and Edward Augustine O. Tullao, the DLSL side of Third place winners Wallsend DLSL 6 present their proposal to the judges through a video conference call on Canvas with their teammates in Australia. 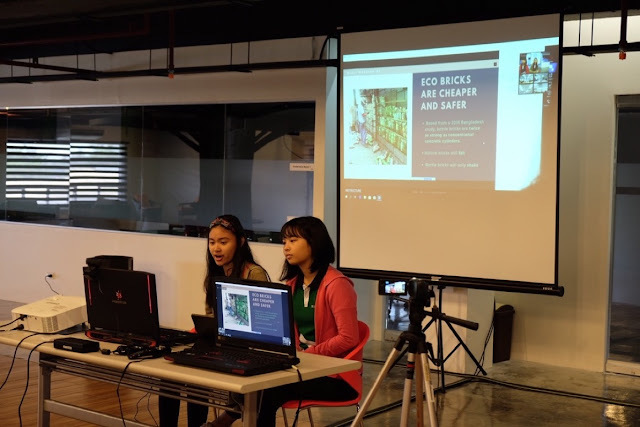 Danielle Lei R. Araez and Jesse A. Candelario of Team Waratah DSLS 2 make a pitch to look at plastics in a literally more constructive way and convert single use plastic refuse into eco-bricks to build sturdier and more eco-friendly buildings.